This chapter presents an approach to the analysis of Smart Grids based on a multi-layer representation of their technical, cyber, social and decision-making aspects, as well as the related environmental constraints. In the Smart Grid paradigm, self-interested active customers (prosumers), system operators and market players interact among themselves making use of an extensive cyber infrastructure. In addition, policy decision makers define regulations, incentives and constraints to drive the behavior of the competing operators and prosumers, with the objective of ensuring the global desired performance (e.g. system stability, fair prices). For these reasons, the policy decision making is more complicated than in traditional power systems, and needs proper modeling and simulation tools for assessing “in vitro” and ex-ante the possible impacts of the decisions assumed. 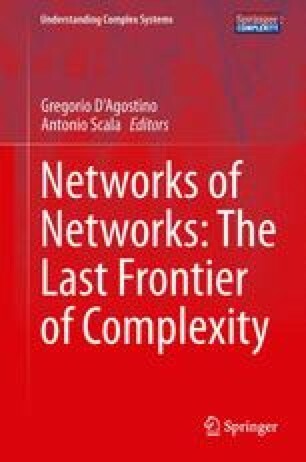 In this chapter, we consider the smart grids as multi-layered interacting complex systems. The intricacy of the framework, characterized by several interacting layers, cannot be captured by closed-form mathematical models. Therefore, a new approach using Multi Agent Simulation is described. With case studies we provide some indications about how to develop agent-based simulation tools presenting some preliminary examples.